Stephen Dodd celebrated his 52nd birthday in style — by capping off a wire-to-wire victory at the WINSTONgolf Senior Open. After opening the tournament with rounds of 64 and 66, the Welshman took a seven-shot lead into the final day. While his six-shot margin of victory might imply it was a drama-free Sunday, the early and middle-stages of the round were anything but. 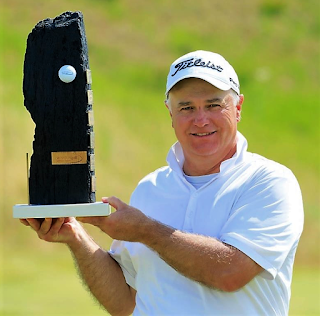 Paired with France’s Jean-François Remesy — who won last week’s Swiss Seniors Open — Dodd saw his lead trimmed by three shots on the opening three holes after he bogeyed the second and Remesy birdied the first and third. When the Frenchman picked up another shot at the ninth for his fifth birdie of the day, the tension in the air was palpable as the Cardiff native’s advantage had been cut to only three strokes. The birthday-boy dropped another shot at the tenth, and it appeared his lead might be gone in short order, however Remesy also bogeyed the hole, which perhaps settled Dodd’s nerves going into the par three 11th. After a quality strike, the three-time European Tour winner seemed to be infused with confidence. Remesy lost two more strokes on the 14th hole as his bogey was met with another birdie from the leader. Parring the next three holes, the newly minted 52 year old was able to enjoy his walk up the 18th fairway and into the winner’s circle. “It was quite tough out there for me today,” he said. “It got close after about nine or ten holes and it got me thinking a little bit, but I made some nice birdies early on the back nine, which helped me. “You can’t win a tournament on Friday, you have to do it on Sunday, and when I needed to hit good shots, I hit good shots. 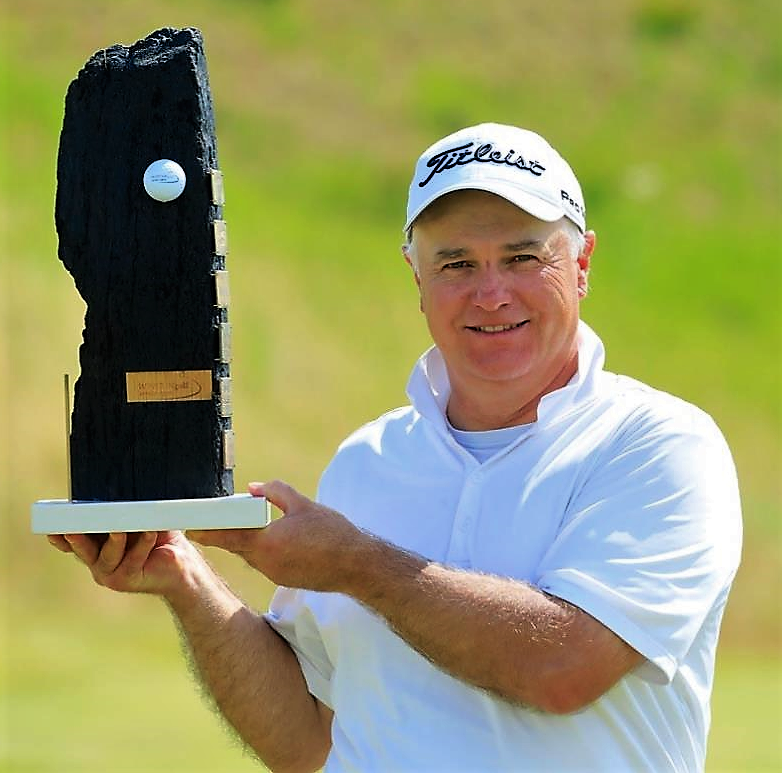 With the win, Dodd becomes a champion on the Staysure Tour for the third-consecutive season, after triumphing in the 2016 Senior Italian Open and the 2017 Farmfoods European Senior Masters. At the trophy presentation, the tournament-host, Wijnand Pon, popped a bottle of champagne and doused the winner in the drink. It is now off to St Andrews Golf Links for The Senior Open, which is the next event on the Staysure Tour International Schedule and also a Senior Major Championship. With an off-week between now and then, the WINSTONgolf Senior Open victor will have plenty of time to celebrate both the trophy and his birthday. +Picture of Stephen Dodd by courtesy of Getty Images.